My visit to National Bonsai and Penjing Collection of Australia next year. My host at National Bonsai and Penjing Collection of Australia in Canberra have announced the program for my visit in March next year, looks like I have quite a busy week ahead of me. I am following in the footsteps of Pavel Slovak… Tough act to follow! It will be great to meet up with all the guys and girls I chat to on social media. Bonsai Week this year will happen from 20 March till 26 March 2017 at the NBPCA in Canberra. Our International guest this year is Mr Tony Tickle from the United Kingdom. 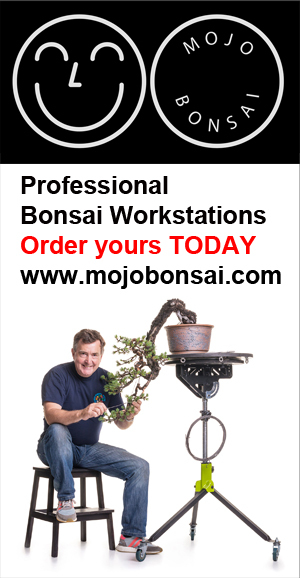 Tony’s Presentation – Mr Tickle will present an audio-visual bonsai case study prepared over 20 years. FREE event – Please register your interest in this critique by emailing leigh.taafe@act.gov.au or calling 02 6207 8483. Evening Bonsai Demonstration – An Arboretum International Bonsai Experience – This is the premier event of Bonsai Week. A Gala Cocktail Evening Demonstration by Mr Tickle. An opportunity to dress up and socialise with good friends while experiencing the wonders of the Arboretum of an evening. Watch the sun setting from the award winning Village Centre Complex, see the Bonsai & Penjing Collection under lights, marvel Tony as he transforms a stock tree into a bonsai masterpiece within a relaxed and comfortable setting, then have a chance to bid on that very tree at auction. (Other auctions will happen throughout the evening). This is a ticketed event. Price and bookings information has yet to be determined. The bar will be available for cash purchases of further drink refreshments.